While technology is everywhere you look in today’s healthcare environment, hospital and healthcare organizations continue to struggle to make the most of their investments. These IT-related challenges include ensuring on-demand access to patient data for clinical decision-making; combatting physician frustration and burn-out; protecting sensitive data and patient privacy; and keeping pace with escalating demand for telehealth. Ensure safe, seamless patient experiences. Hospitals and healthcare organizations must take responsibility for engaging and protecting patients, from the time they enter the hospital through their inpatient visit, care transitions and discharge to home, rehab or a skilled nursing facility. Patient identity solutions play a key role in matching patients with their correct medical records; ensuring proper ID at all points of care; boosting safety and satisfaction; and saving time and money. Empower care anywhere. Physicians, nurses, therapists and other healthcare professionals need powerful, reliable, highly portable tablets, phones and laptops that give them the ability to deliver patient care not only inside hospital walls but beyond – including at the patient’s home. For example, laptops mounted on mobile carts make it easy for hospital clinicians to capture and access vital data at the patient’s bedside, while tablets and wearables give on-the-go home health professionals the flexibility they need to provide continuity of care in the patient’s home. Compact desktops at nursing stations streamline workflow and improve responsiveness. Elevate care efficiency. With clinicians and patients constantly on the move across care settings, better, more efficient care also requires facilitating anywhere, anytime collaboration. 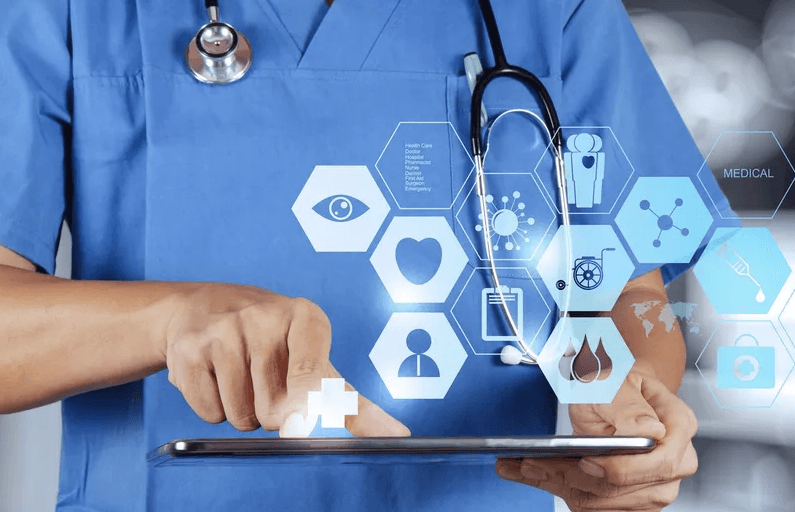 Technology that has built-in, hardware-enhanced security, remote manageability and productivity-enhancing capabilities that adapt to constantly shifting workloads helps connect clinicians with patients, or with colleagues and specialists – no matter where they’re located – and speeds up diagnosis and treatment. This helps improve outcomes as well as optimize clinician productivity. Embrace health IT innovation. There are so many new health IT developments that it can be challenging to simply track them, let alone integrate them into patient care protocols. But whether it’s using sensor-filled vests to measure patient vitals, voice-activated “smart assistants” to support clinicians or augmented reality/virtual reality solutions to personalize patient experiences, healthcare organizations determined to thrive in a value-based environment – not to mention meet rising patient expectations – must be willing to be in the technology vanguard. Guest blog submitted by Lenovo Health. To learn more about how the right technology can help your healthcare organization drive better care, visit Lenovo Health in Booth #2443 at HIMSS18, March 6-9, in Las Vegas.